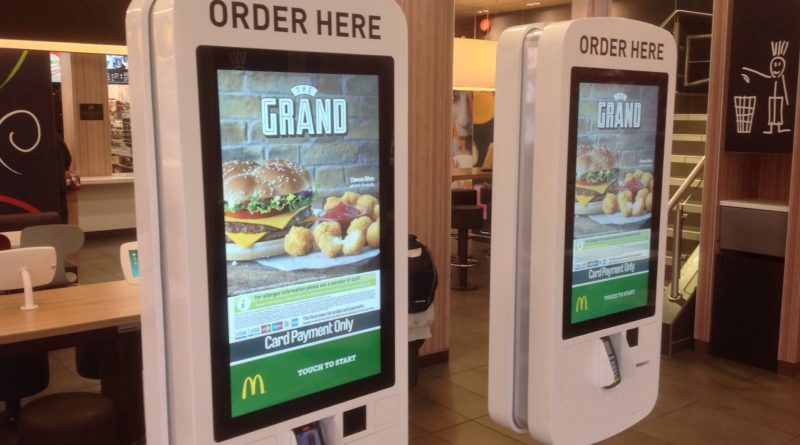 Welcome to the year 2015 – welcome to the future… as we present a live demonstration of the new McDonald’s touch screen, self-service kiosk ordering system. 2015 is the year of the Hoverboard, the flying DeLorean and touch screen ordering (OK only one of these is actually happening) and we would have liked to have got this to you sooner. 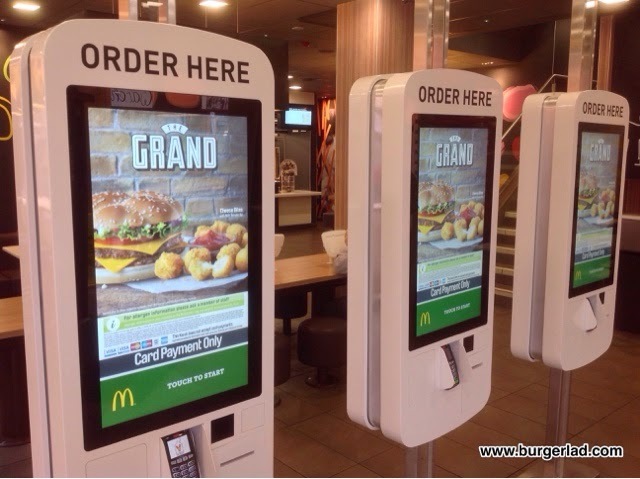 Today we demo a touch screen kiosk that is available in one of around 100 McDonald’s restaurants in the UK (out of approximately 1,200). 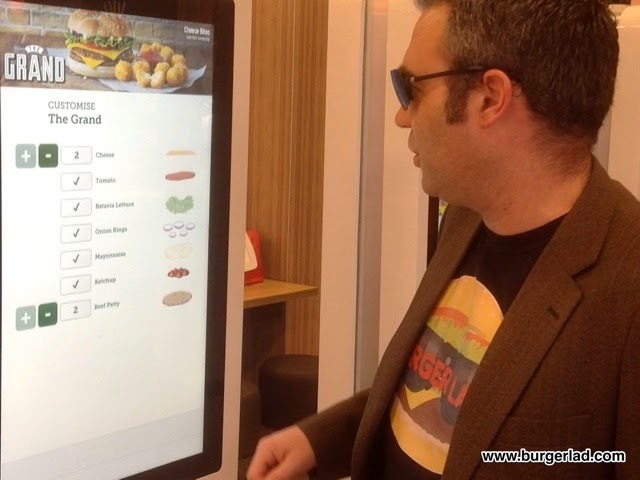 Touch screen ordering at The Golden Arches is not a new thing. Dating back to as early as 2004, locations around France started to see the implementation of these automated food ordering systems. 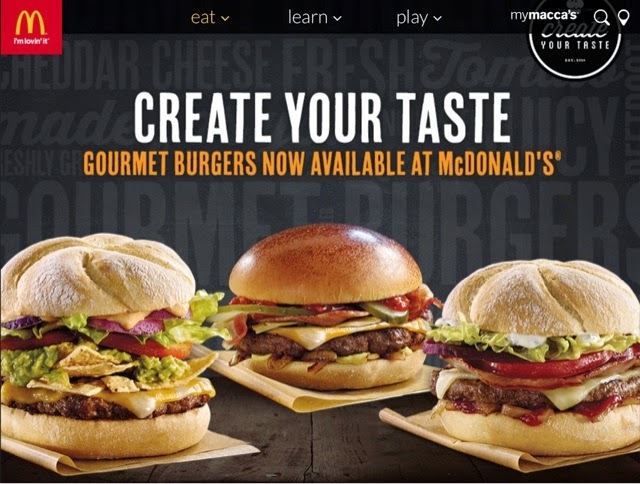 Allowing the consumer to pick and order from the standard McDonald’s menu and pay by card, this is designed to speed up service and keep the regular queues down for people still wanting to order via the traditional method. Surely this can only be a good thing for customers? After all, the automated pay stations at supermarkets such as Sainsbury’s and Tesco are pretty much the norm these days. And it also opens up the possibilities for future customisation which we’ll talk a bit more about after our demonstration. 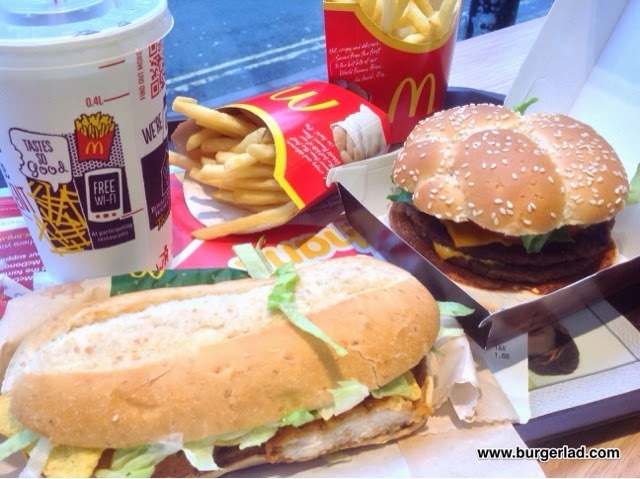 OK, we arrived at the Worcester Foregate Street McDonald’s on Sunday around 11:00am and we were given a very warm welcome by one of the Business Managers for the restaurant. We talked for a while about the system, training for staff and implementation – this restaurant was closed for 2 weeks for the refit to upgrade the restaurant to what it is today. I must say when I heard about the store being closed for a refit I was quite surprised. After all, McDonald’s started re-imaging its restaurants back in 2007 and I don’t know when this location got its make-over but it still seemed a relatively short time ago. This restaurant interior is even more modern, with electronic menus around the place and tablets installed in some of the tables for the “younger generation” to access. The concept is easy. Use the touch screen system to access the menu, place your order and pay. You are then given a receipt with an order number and you take that to the collection point and wait for your food to come. In our latest episode of BLTV you can see the touch screen ordering system below – please consider that we didn’t get a demo prior to this and this is the first time we’ve ever used it. OK for anyone not wanting to watch the video you get presented with the option to Eat In or Take Away first with language options in English, Welsh, French, German and Spanish. Disabled accessibility is also available but we didn’t test that out today. The menu ordering system is very logical and easy to use. 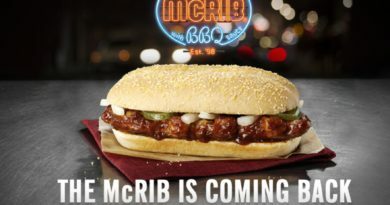 This is divided into the following categories: Sandwiches & Meals, What’s New, Happy Meals, Desserts and Drinks. Based on our popular reviews we fancied trying the Nacho Chicken Fiesta Sandwich and The Grand so selected each of these in turn. 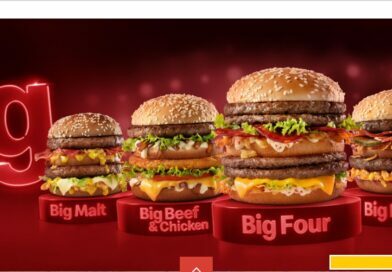 You literally click on the burger you want and choose from Large or Medium Meal or just the sandwich/burger only. The price and nutritional information is very clearly labelled enabling you to know what you are paying for and consuming. Today we ordered meals so the next option available is the choice of Fries, Garden Side Salad, Fruit Bag or Carrot Sticks. Once you’ve opted for what you want the next selection screen is the drink choices – Cold Drinks, Bottled Drinks (such as water and fruit juice), Milkshakes, Iced Fruit Smoothies & Iced Frappes or Hot Drinks. I’d like to add at this point that I like this system because you really get to see all of the options on the menu and you don’t feel hurried like you can do if you are ordering at the conventional counter. So once you’ve chosen your drink you can then pay or add to your meal. Miss Milkshake wanted to have The Grand but as you know she despises mayo. OK, so how would the system cope with this? We added the meal option in the usual method and I just guessed that clicking on the item in the pre-confirmation screen would enable you to edit it – the system really is that intuitive and easy to use! On the screen, you choose which product you want to customise and once selected a list of the ingredients appears. 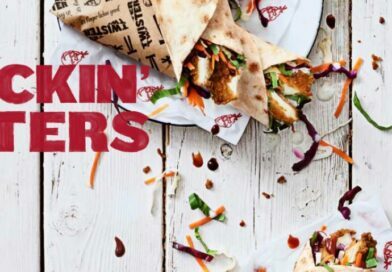 From here, you literally un-tick any ingredients you don’t want and then complete your order. At this moment in time you can only remove items from burgers but don’t be too surprised in the future if you can start adding items – again we’ll discuss this later on. Once you complete your order, you get a useful final “Is this order correct?” confirmation screen. This shows exactly what you have ordered, the price and any alterations to your burger. The touch screen kiosk allows you to pay by contactless payment or by inserting your debit or credit card but paying by cash is not an option. In total, the process of ordering took about 3 minutes which is very good considering 1) it was my first time using it and 2) we were taking it “steady” for the purposes of demonstration. As you can see from the pictures everything was correct, assembled very tidily and the food was piping hot so we think this is definitely a good use of technology and can only benefit the customer. 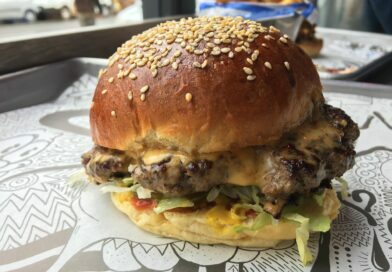 Overall, the Burger Lad® team were highly impressed with the ease and efficiency of using the system and how intuitive it was. 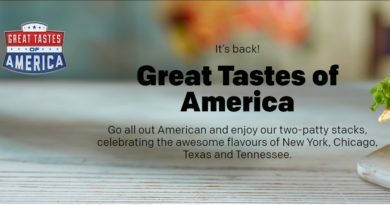 Expect to see more of these appearing in McDonald’s as they continue to implement them throughout their UK stores but from us it is a massive thumbs up. Pros: Speed, logical and concise, bypass queuing, minimise human contact (if that way inclined), efficient, easy to understand, clear price and calorie information, ability to remove ingredients, can operate 24/7. Cons: Can’t pay with cash, not able to add ingredients, perceived view of taking away human role, potentially subject to being out of order. We mentioned customisation earlier on in this article and it’s no big secret this has been available in half a dozen or so states in the US and is set to be rolled out nationally in Australia. 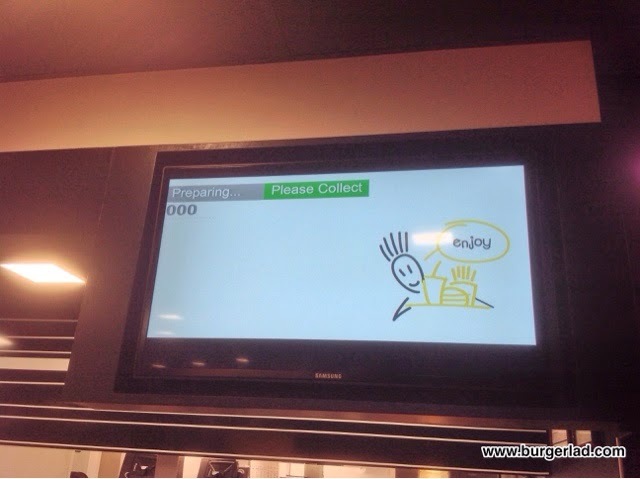 As you can see above, under the “Build Your Burger” name – which has since become “Create Your Taste”, consumers are able to use these touch screen systems to create their own burgers. 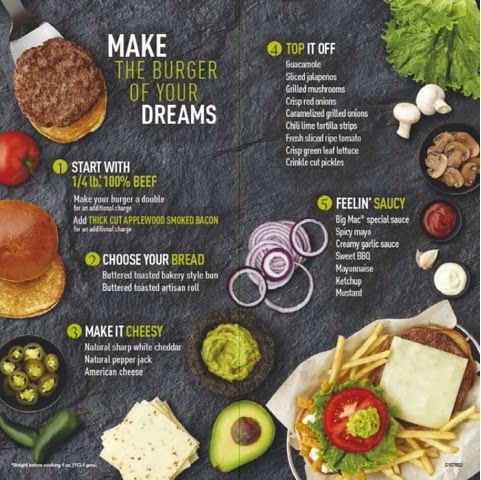 We at Burger Lad® see the self-service option being the start of the journey to creating these custom burgers so don’t be too surprised when that option/functionality starts to appear in the UK. We would also like to say a massive thank you to the warm and welcoming staff at McDonald’s Foregate Street Worcester for being so accommodating on our visit today and also to everyone that helped to arrange this demonstration. Sounds good for those of us who always end up picking the tomato and lettuce out. 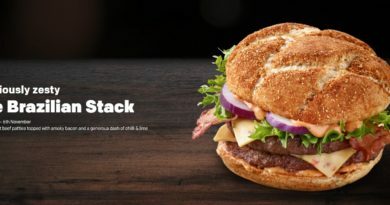 I remember Wendy's doing much the same thing thirty years ago, though – all burgers were prepared as you wait and you could choose your toppings, or lack of. you can just ask the staff not to put them in? Pingback:Tech in Foodservice: Boon or Bane? Kudos to McDonalds for the new kiosks. No more waiting in the cash line when the restaurant is crowded. They are fun to use and provide a tally on my restaurant use via my bank book. 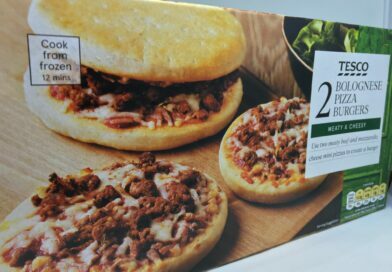 What if you wanted a plain burger? 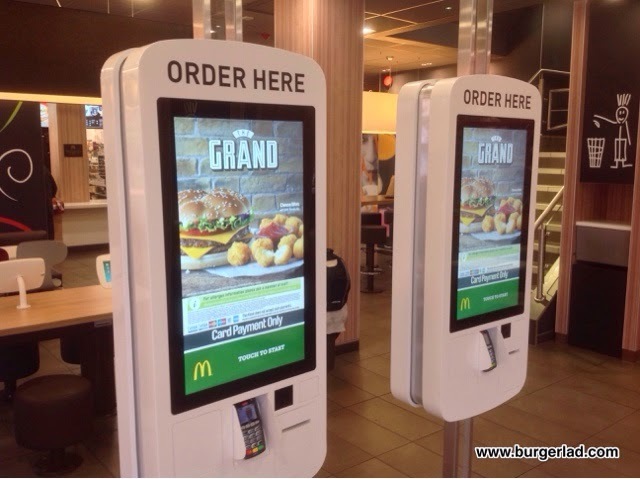 Do you know who produces the pre-payment touch screens for McDonalds, I have a customer that is looking for something very similar. If possible could you contact me with the relevant information. How long did it take him?!! What an absolutely ridiculous new-fangled gizmo these new kiosks are. It took him about 4 minutes just to place his order and pay. Then there’s the trip to the “collection point” (sounds a bit like Ikea). 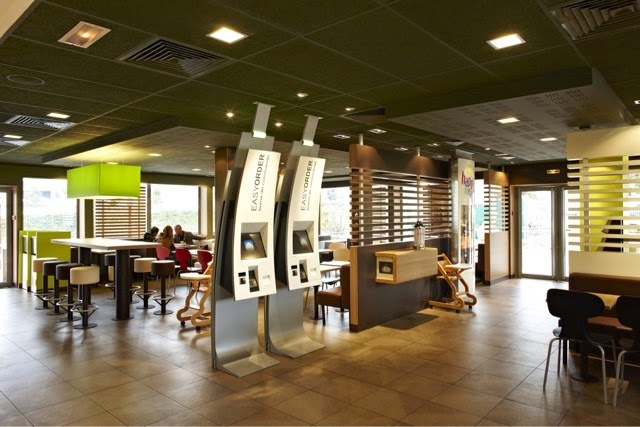 I can just walk into a McDonalds, approach the counter assistant and request my breakfast meal with a white coffee. That takes, ooh, a massive 10 seconds from start to finish! I pay in cash so there’s no waiting around for the electronic payment to clear. This is just a gimmick for teenagers. Truck drivers, office workers on their way to work won’t want to faff around scrolling a giant touchscreen and pressing buttons when they can just tell the counter assistant what they want in no time at all.